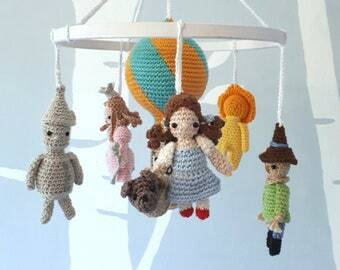 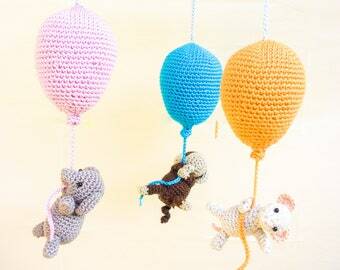 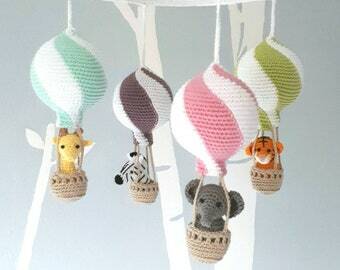 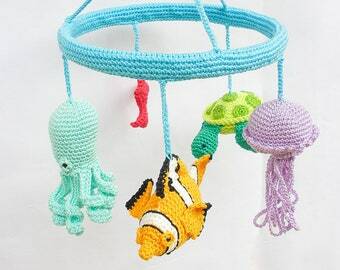 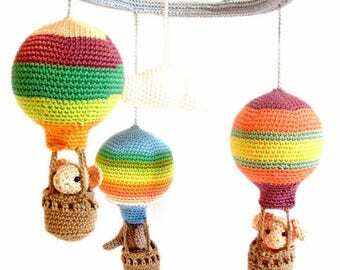 This sloth baby mobile is the perfect addition to your baby girl's wildlife inspired nursery. 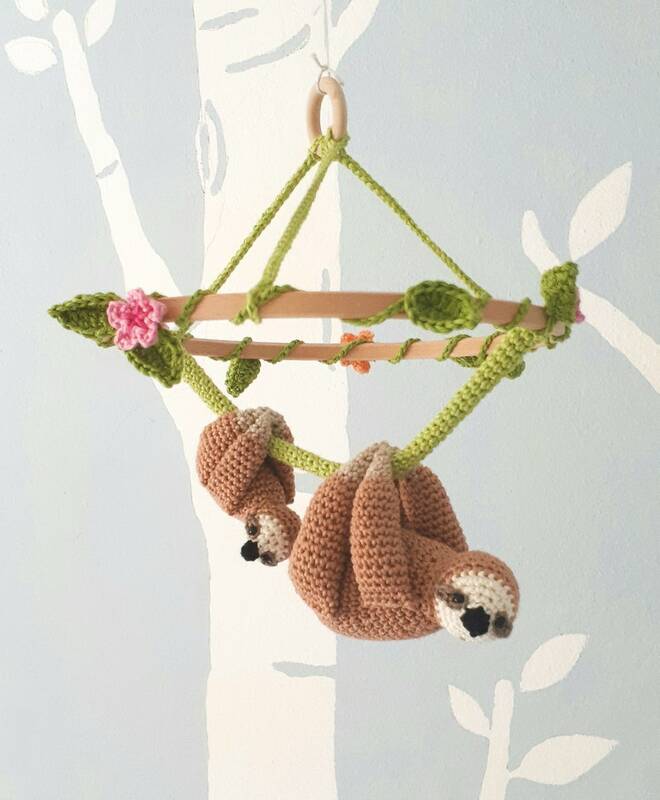 The two sloths, a mother and her baby, slightly swing from a green vine and capture your baby's attention with their cute faces. 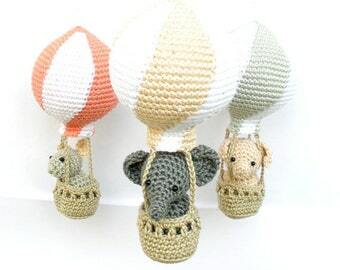 The two sloths are embraced, but they can also be divided (see pictures). 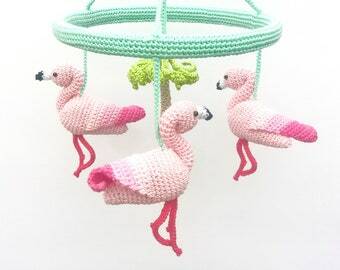 The wooden ring is wrapped with branches, leaves, and flowers (in pink and peach), and in the middle, there's a ring from which you can hang the mobile to the ceiling at the desired length. 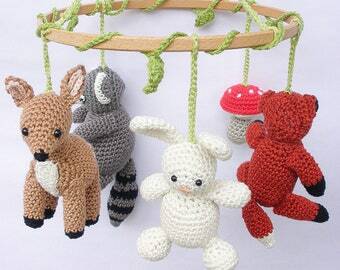 - the larger sloth measures 4,7 inches (12 cm) length and 3,5 inches (9 cm) width. 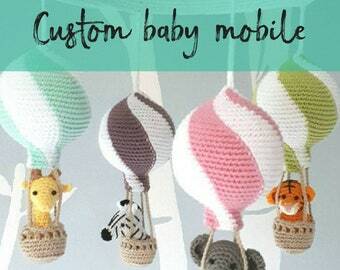 If you would like to add some details or different colors, just send me a message with your request.